The VPI T+ Snowglow is genetical equal to a Moonglow from the Kahl Strain, but instead T- Albino a VPI T+ Albino is used. A Snowglow is looking pretty similar to a regular Kahl Strain Moonglow when it´s born. But this changes quickly once the first sheds have taken place. 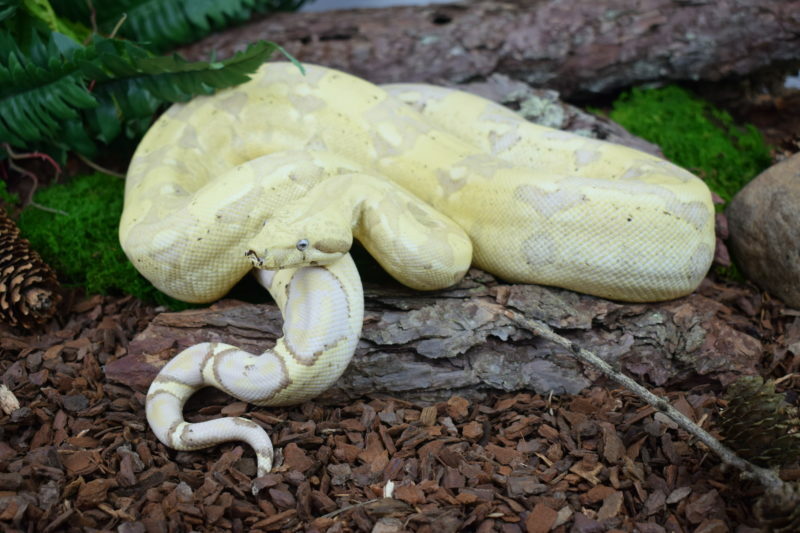 The fact that VPI T+ Albinos are capable to produce melanin, black dots start appearing with every single shed. After two years the pattern are mostly surrounded by black lines what gives the VPI Snowglow a unique look. Combined with the purple blue blotches on the tail this is by far one of my favorite morphs of all time!